Kris have been forged from iron by master craftsmen, known locally as empu, for hundreds of years. 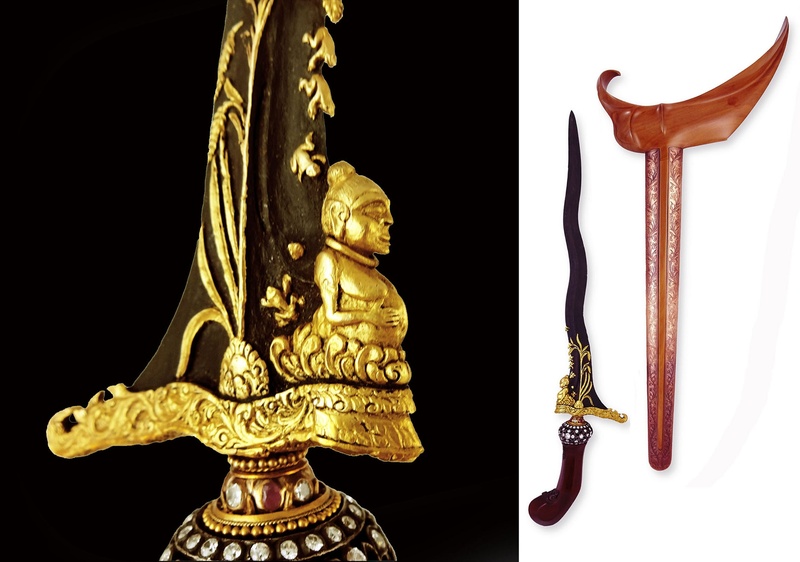 Creation of the daggers, sacred to people in Indonesia, Malaysia and even parts of the Philippines, involved complex rituals to boost their connection with the spirit world and to put magic power into the hands of those who carried them. Today, however, many view a kris as a work of art, divorced from the local wisdom and philosophy of the empu. The Panji Nusantara kris community would like to change that, according to Toni Junus, the author of Kris: An Interpretation. Toni said that the local wisdom embodied in kris remained under threat. Religious fanaticism, for example, has led some separate the sacred daggers from the spiritual values infusing those who made or owned them. The community, founded in 2005 after UNESCO recognized the daggers, wants to reposition the kris in line with contemporary thought and religion. “We think it is important to create an organization where kris collectors and lovers can gather to preserve local wisdom,” Toni said. Toni said that the community was focused on conservation, revitalization and expanding public awareness of the values embodied in a kris, such as rethinking that ritual of kris making — which usually involves sajen offering to the spirits, spells and mantra — as an effort to get closer to the Creator. His first encounter with kris was in senior high school in Surakarta, Central Java. A representative of the Kasunanan (sultanate) asked him to sell one of their sacred daggers at the Triwindu antique market. Now an expert, Toni can talk of a kris’ patterned layers (pamor) which signify the owner’s hopes. A kris with pamor of palm leaf ribs, for example, is intended to sweep away evil, disaster, distress, trickery and witchcraft, while a pamor of leaves signifies a desire for glory, dignity and status. He says that Javanese people traditionally considered a man as complete when he had five things, including a kris. Even today, Javanese men will sport kris tucked in the back of their clothes during traditional rituals. The kris has also attracted the interest of Rodin van Erven from Leiden University in the Netherlands. “When I was a kid, grandpa used to tell me stories about kris.” Van Erven, who studied South and Southeast Asian languages and cultures, eventually moved to Indonesia and joined Panji Nusantara. He became interested in kris kamardikan, produced after the nation gained its independence (kemerdekaan), after seeing some at the National Museum. “It really opened my eyes that kris can still be relevant today. Since then, I have so much interest in kris kamardikan as I see that it is separated from mystical object and treated as art objects. 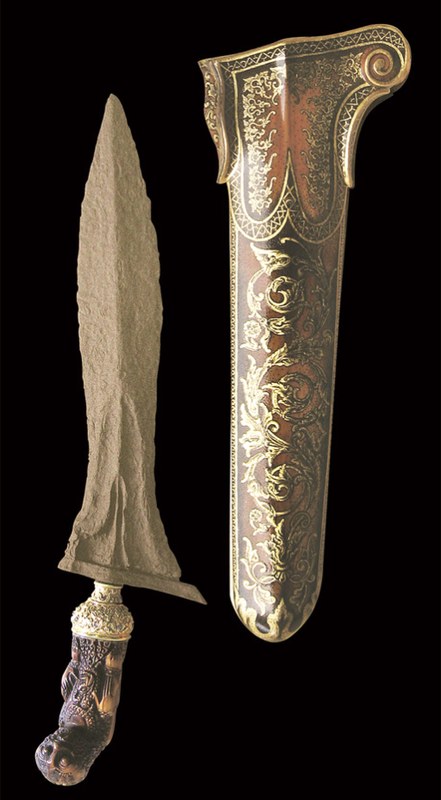 ” According to Rodin, who runs the website keris-indonesia.com, a kris kamardikan is not sacred object and is intended for use at weddings or for purchase by a collector. “This perception affects the improving skills of the artists,” he said. Foreign interest also prompted another member of Panji Nusantara, National Police Sr. Comr. Guntur Setyanto, into action. When visiting Leiden University, a lecturer told Guntur that he was embarrassed that he had studied kris in other countries but not Indonesia. “I promised myself to get as much information as I could about kris when back in Indonesia.” Guntur has hundreds of kris in his collection, which is so large that he dedicated a special room in his house. Some are gifts, some he inherited. “Not everybody is patient enough to take care of the kris. That’s why I get lot of kris from relatives and friends,” he says. The kris in his collection are treated like any other objects, Guntur says: He doesn’t chant mantras or perform any rituals to clean the daggers. He does, however, respect the spiritual values that go into making a kris by an empu. “Rituals were a part of the kris making, because at that time Indonesians still followed Hinduism. The ritual shows an effort to harmonize with the Creator, the universe and humanity.” Toni says that an empu typically recites a mantra over steel while meditating for inspiration and divine guidance before crafting a kris. “This knowledge attracts the members of Panji Nusantara community. We call it ‘revitalization’ or ‘repositioning’ the values of kris in an integrated culture,” he said. While some wanted to keep secret how kris are made so young people aren’t put off by the mysticism behind the rituals, others think to share such information would only degrade the value of a kris. Panji Nusantara, which has 600 members in Indonesia and overseas, holds exhibitions, movie screenings, book discussion and bazaars in several provinces in Indonesia.